AirAsia Vs Scoot Vs Jetstar – Which Is Best? South East Asia is currently undergoing a vast battle for control by several juggernaut low-cost carriers. These airlines seem to have infinite resources as they chase after your dollars, offering sometimes ridiculous fares to take you away to dream destinations. One questions remains, which of these airlines is best to fly long haul? Who will we be comparing? An AirAsia jet flying in formation. Source: AirAsiaAir Asia is the biggest of the three. They are divided up into a variety of different subsidiaries throughout South East Asia. They have 327 planes in total and have recently made a 30 billion dollar order for more A330neos. 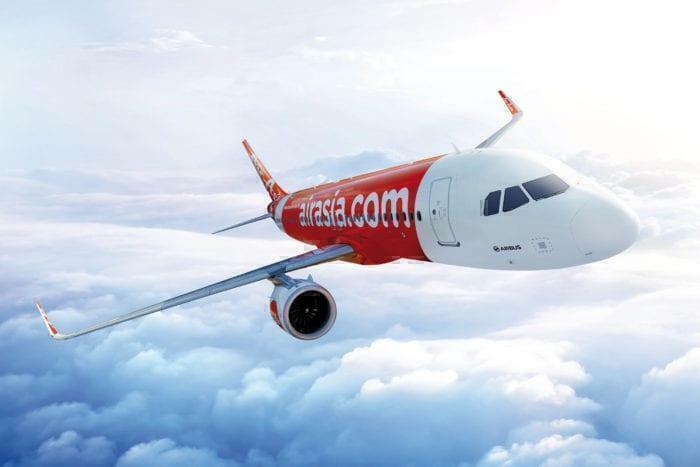 Air Asia operates 89 A320s, with a further 349 on order. Scoot is the low-cost carrier subsidiary of Singapore. From the city-state, Scoot flies to 66 destinations across 19 countries and territories. They have no subsidiaries and have 46 aircraft in their fleet. Jetstar is the low-cost carrier subsidiary of Qantas. They operate throughout Asia and Australia, with several different versions depending on which country they operate in. Who has the best planes? For short haul, these airlines operate a mixed fleet of Airbus and Boeing planes. Generally, you shouldn’t be too fussed about what you will be sitting in for only a few hours. For Long Haul, both Jetstar and Scoot favor the Boeing Dreamliner. Its fuel efficiency and long-range allow them to perform long-haul routes without compromising on their prices. AirAsia actually has Airbus A330’s for their long-haul fleet. This gives them a little more room than their competitors to play with, and its noticed when it comes to their premium cabins. Who is cheapest to fly on? This is a bit of a biased question, as the ‘cheapness’ of a flight depends on a variety of different factors. The first is which hub you might be flying out of. If you are in Singapore, Scoot is the cheapest. If you are in Kululompr, it will be AirAsia. Lastly, Jetstar has the most power out of Australian cities, but can sometimes be beaten. But again, these are low-cost-carriers who will always be as competitive as possible. Sydney to Puhket. For the date, AirAsia was the cheapest, with the shortest hub lay-over. Also, Malaysian Airline (Full Service) is also competing with these carriers. Who has the best seating? All three of the airlines have two classes, a ‘business class’ and a standard economy. What is interesting, is that a business class ticket on these airlines can be bought for an economy ticket on another full-service airline. As you will get the normal features, but far more legroom and additional other perks, it can actually be better to upgrade on a LLC than go cheap on a big carrier. Let’s start with the business class on each airline. Jetstar has plush leather seats in this business class section. However, they are simple recliners and does not transfer into a bed. However, the recline is quite deep the seats are comfortable. They also have double armrests to ensure no fighting. There is, however, on their 787, an awkward third seat in the middle of the 2-3-2 configuration. Business class passengers get 30kg of checked baggage and two carry-on bags up to 7kg. They also have in-seat entertainment screens that fold out of the chairs, as well as, an exclusive in-flight menu. Very similar to Jetstar is the Scoot ‘Biz’ business class. Its much like the same, slightly wider but the same pitch. However, there are some things you do need to know. Checked baggage allowance is 30kg, with a 15kg of carry on. Plus, if you are in Scoot Biz you actually get a free bottle of water, not a cup of ice that you have to watch melt. If you like the look of Scoot Business Class whilst you are on board, you can actually upgrade from economy for a small cost (if the seats are available). AirAsia business class has one trump card over the others, it offers a ‘flat-bed’. Now, this is not entirely flat, it’s on a little bit of an angle. Still, this might be a deal winner for those who want to fly overnight from Bali or Malaysia. The seat comes with a privacy screen, an included meal, a big pillow, and the baggage allowance is 40kg. Entertainment is included with a streaming device (a tablet) but you must book it ahead as they are a paid extra for economy. Economy section is going to be a little bit harder to find a winner, as all the airlines are super competitive and also try to save as much money as possible. There are no back screens on board, and passengers will need to hire a tablet to access entertainment (they don’t have a wifi streaming service like United in the US). Carry on baggage on AirAsia is 7kg per person. You can also buy a meal from $5-$10, which bucks the trend of expensive in-flight meals. Economy carry on allowance is 10kg, with a variety of packages to add a checked bag and/or a meal. There is no entertainment seatback screens, but you can stream content to your own device. Scoot also has a special ‘silent zone’ of economy seats right behind the business section. They don’t allow children under 12 to ensure peace and quiet. Continuing the theme of leather, Jetstar has leather economy seats, but they are rather thin. Unlike the others on this list, they actually have seatback entertainment with content. The carry on baggage for Jetstar smaller at 7kg, but as usual you can buy more capacity if you need it. As usual, everything is for sale, such as food and more. If you are flying business, I think that AirAsia is offering the best value for money plus the best perks. However, if you are flying economy, then Scoot has the biggest seats. Plus the streaming entertainment and bigger carry on capacity, makes it a solid choice. Overall, if you’re flying a low-cost carrier, you are looking for something cheap and easy to get you to where you need to go. Go for the cheapest option to suit your budget. Which airline do you like the best? Let us know in the comments. Should include comment on the safest LCC in Asia. 1.) As a world tour buff, it gets very annoying very fast when daisy chaining one way flights, and for connections with AirAsia and JetStar, when connecting flights you have to book thru another sub brand of AA or JS. I get there’s customs but there has got to be a better across the board approach for idiots like me. 2.) Continued world travel antics, how do you pass Scoot’s $300 flight from Athens to Sydney??? Some day…..
Not January though. Because peak Aussie travel that same flight shot up to $900, I can wait till April-May. I don’t want to but I can. 3.) JetStar disaster saga!!!! For Tokyo-Singapore, missed chance at Scoot $140, so my next options were JetStar or Cebu Pacific both with a change in Manila. Flipped coin and tried JetStar plus I get a small window to see Manila night life if any. Get to departure gate in Tokyo Narita and flight is delayed 2 hours. Security won’t let me back into Narita food court and that’s 2 hours endangering my night in Manila. Had a very rushed and starving night in Manila. Back on board JetStar at 10am for Singapore, plane takes off, pilot detects engine reading and lands in Manila for inspection. We sat in gate (this time they fed us!) for 6 hours before they decided for our Monday 10am flight best they could do was hotel us and fly us out 11pm Tuesday. Me and some other angry flyers grabbed our luggage and shelled out $206 for Singapore Airlines. Still to date arguing with JetStar about refund. And that’s the tale of how JetStar ruined a night in Manila and crushed my 2 days in Singapore down to 1 day. I’m Australian and ‘our’ Jetstar has a history or delays, cancellations and pretty poor customer service. The cheapest of the cheap with nothing nice. I once boarded in Bali only to watch people bypass the security line and/or pass bags to each after they had been through security. There is no way to notify the airline or show them the problem – same as a recent Qantas flight where we landed with passengers not wearing seat belts in front of the cabin crew who had given up after so many complaints about the poor service and shocking food offered.